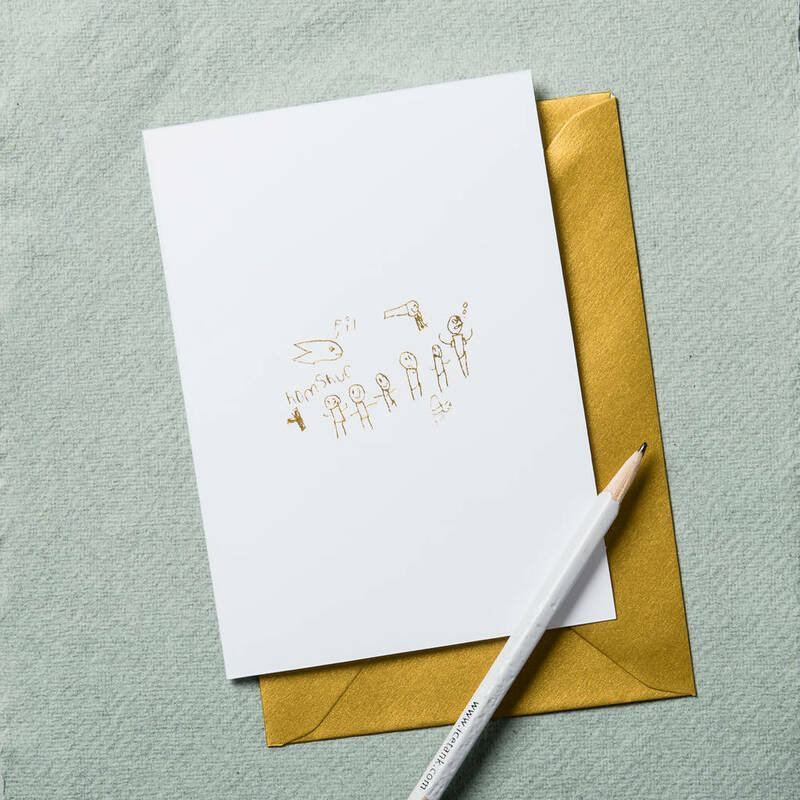 A beautiful personalised drawing gold foil card unique to you & designed by your little ones. 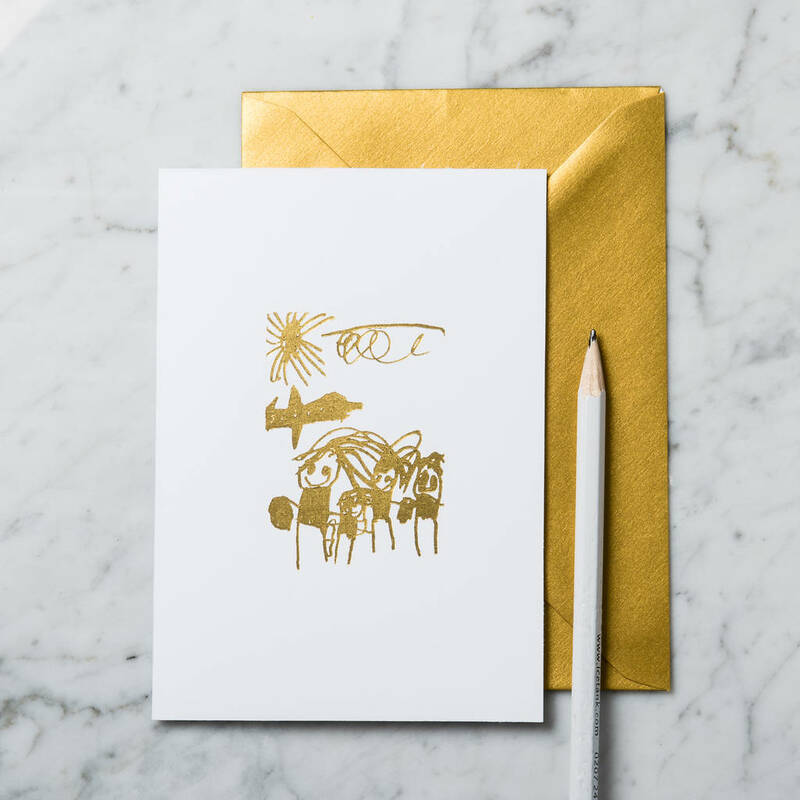 Make one of these lovely little cards completely unique to you by personalising it with a gold foiled drawing by that little creative genius in your life. 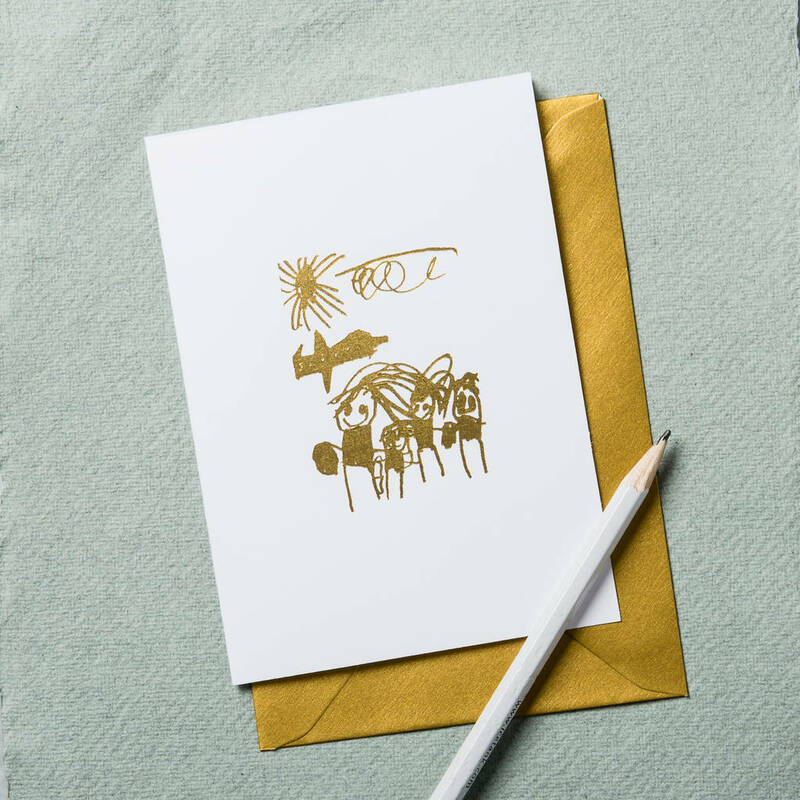 Just send us the artwork and your masterpiece will be embossed in gold foil. Each card comes with its own gold envelope.